If you love beautiful things from the past, an antique dealership business may be a good business for you. As an antique dealer, you will find, appraise, purchase and sell antiques either from your home, through a warehouse, a catalog, or a small shop, and now even through the Internet. It is estimated that there are more than 36,000 antique dealers in the U.S. alone, with many of them operating from home. A low risk and high return business, you can even do the bulk of the work on weekends and build up your capital while still working at your main job. An antiques business allows you to have fun while learning how to run the business. Antiques are commonly defined as anything over 100 years old. Yet, most antiques shops and antiques shows today typically have a large percentage of inventory made in the 20th century. Instead of merely considering the age of an item, many antique dealers choose an item based on its design, workmanship and rarity. Examples of items in this category are art noveau furniture, pottery, glass, jewelry from the turn of the century through the 1940’s, and Tiffany silver produced in this century. Collectibles, on the other hand, is a term used to distinguish more recent items from antiques. Denoting “popular” culture, collectibles are anything that people collect, mostly things that were part of everyday life in a bygone era now fondly remembered. There are thousands of categories, but some examples would include coins, Star Trek’s memorabilia made in the 70s, children’s toys, lunch boxes, old movie memorabilia and comics books. It can also refer to “limited edition” collectibles. Those are things manufactured and marketed specifically as collectibles as in collector’s plates and Franklin mint items. Shows like PBS’ Antiques Roadshow clearly demonstrate that there is big money on antiques. However, the antiques business is an expensive business, particularly if you are still in the process of building up your inventory. Your start-up costs will depend on the amount of inventory you need to build up. 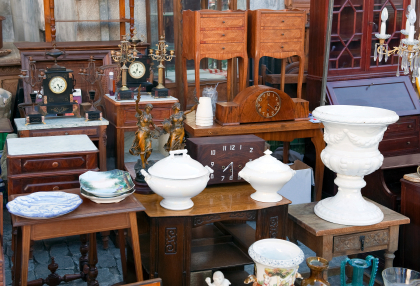 If you have been actively collecting antiques before, then you may already have some of the inventory you need to open an antiques business and this could drive down your start-up requirements. 1. Find the source that works best for you at the lowest cost. Check out flea markets, estate sales and garage sales for interesting items you think might be saleable. You can also browse online and see what you can find, and what appeals to you. You can also check out auction houses, if the prices are not steep for you. These venues often yield treasures for a collector. 2. Sell antique items on consignment agreement with other collectors, where you do the selling for antiques from their collections. Contact known collectors in your area, or ordinary folks with heirlooms and ask them if they could use your help in selling their antiques. You then get a percentage of the sale as your commission. How to Sell Antiques and Collectibles on eBay… And Make a Fortune! The key to succeeding in the antiques business is knowledge. You can choose a type of antiques/collectibles that you are interested in, and strive to become an expert in that niche. Some antiques dealer focus on a particular specialty, e.g. historical artifacts, antique dolls, Victorian furniture, Oriental pottery, or others. While it is not necessary to give experts at Sotheby’s a run for their money in terms of knowledge, it is essential that you research your niche well (and more than your competitor). You need to learn as much as you can to help you plan every purchase well. Strive to continuously improve your knowledge and skills particularly in appraising the value and quality of an antique piece. You must know what items are worth and have a good feel for what sells. Given that the antiques business thrives on trust, buyers are more confident in purchasing an item if they know they are dealing with an expert. You can learn a lot by visiting antique malls and learning the pricing structure. Talk to dealers who have been in the business for a number of years. Arm yourself with guidebooks, such as the “Antiques Price Guide” and “Garage Sale & Flea Market Annual.” Your local library is an excellent resource for antiques reference books. You can also get on the Internet and see what items are bringing the cash on the Internet auctions. While you are organizing your business, setting up your legal structure and getting all the necessary requisites, you can begin to prepare the location for your business. Even if you will open your shop in your home or rent a kiosk or space in a mall, here are some factors you need to consider in choosing the best location for your antiques business. Is it in a historic district or near an interstate? Does your location attract traffic? How big is tourism in the area? Are there scheduled festivals in the area that attract visitors? If you are planning to set-up shop in a mall, does the mall advertise and is it well known in the area? If you will rent a booth or space in the mall, remember that most malls charge a percentage for each sale. A half booth is a good way to begin your business or share a space with a friend. Do some investigating and ask the antique dealers if they are satisfied with their sales. Many dealers sell at more than one mall and enjoy being able to rotate their merchandise frequently. Your customers include the millions of collectors around the world that have collections in thousands of categories – from the multimillionaires that collect impressionist paintings to the average person, who might collect anything you can imagine. Many average folks will buy antiques or collectibles simply because they liked the item, or have started collecting that particular item. Collectors have been known to fill their residence to overflowing with thousands of related items, sometimes even to the point of financial ruin. Begin with a small amount of capital, very little equipment, and reinvest your profits to grow your business. Initially, avoid slow moving and big-ticket items, particularly if you cannot afford to tie up your assets. Your purchasing skills and ability to spot a good find are crucial in this business. Buy at bargain prices: items in auctions are supposed to be about half the actual value. You can also find hundreds of items selling at a quick pace at estate auctions, although many of these items may require cleaning or repair. You can also check out merchandizes online, and in paper-based antiques publications. A savvy buyer will see a valuable hand embroidered Chinese silk in an old table runner. While an ordinary person will see an old lamp, you will see twenties retro! You need to develop a system for recording and keeping track of your inventory. Enter in a logbook each item you buy, complete with a catalog number, description, cost and sale price. Your logbook is invaluable for tracking your costs and seeing how long you’ve had an item. If you know any history about an item, be sure to jot that down. 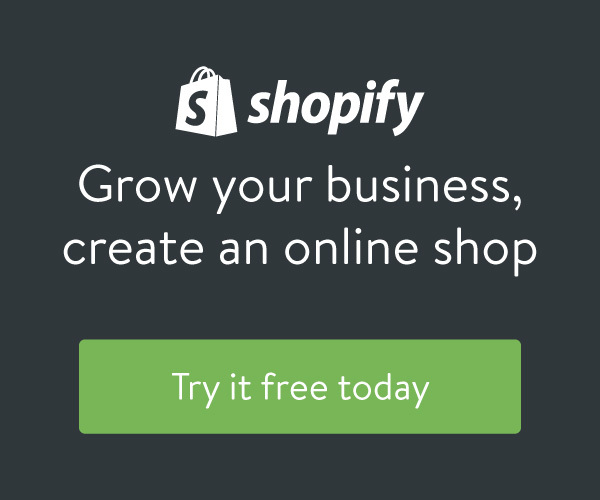 Are You Ready to Move Your Business to the Shopping Mall? Excellent post. I used to be checking continuously this blog and I’m impressed! Very helpful info particularly the final phase 🙂 I care for such info much. I was looking for this particular information for a very lengthy time. Thank you and best of luck.